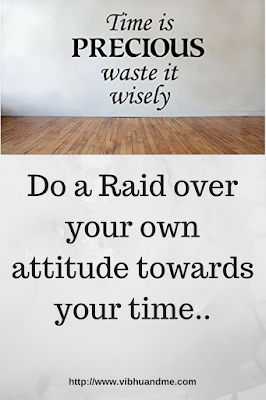 Perform a Raid over your own attitude towards your time.. Yesterday, I had booked a show for recent bolly release 'Raid' at a PVR cinema of my city. I had booked the 12.30 show of noon and we reached the PVR place by 12.15. After checking in we found that the screen our show was scheduled to be played in had its door closed. It remained closed until 12.29. In the anticipation to miss out the beginning and judging it our responsibility to get seated in time, we moved ahead to get in. We saw two other people entering thereby opening the door themselves and we followed them quickly. However, there happened something really annoying. We had entered the door following an old couple who were a bit slow in climbing the stairs. But when we entered following them, we found one of the staff member not allowing them to go ahead. The couple tried to explain him about their booking time being 12.30 which is when they had entered, the man pushed them back to get out and told to wait until the other film running on that screen was over. I also went back, like the old couple but I noticed that the movie being played at that time on that screen was an animated film on the story of Lord Krishna. Clearly, it was a special screening of that show for which no tickets were being sold to common people. I discussed this with others standing outside of the big door of that PVR screen. Within a moment there was placed a barricade similar to the one we find in supermarkets to separate queues at the billing counter which was even annoying for me. While the staff person was doing this, I asked him for the reason of this, we had tickets for 12.30 show so how could we be not allowed in who just said you should wait here only. We were clueless about what was going on along with the senior couple who were also not happy standing at the door like that. By that time it was 12.40 on the clock. In the wait mode, we looked back and noticed there was no place to sit in the lounge where PVR makes us stay waiting for our show time to come. Two other men in their late 30s came to the screen's door and enquired about the show. We explained them all that happened and when it stuck 12.45 we asked for the Manager. On the manager's call, the same person who had pushed us out of the hall a few minutes ago came claiming himself to be the manager. He served us excuse a reason of technical fault due to which the last show was to be stopped for sometime and the next show has gone delayed. This was a lame excuse as we had seen the show being played that time on that screen. Finally, we got to enter at 12.50 but the seats were not cleaned for us so we did our part of pushing the waste popcorn cold drink cups away from our seats. With that an experience, I was quite in a mood to file a serious complain and tell the PVR management that they must value the time of their customers. But my husband stopped me from doing that as there was nobody among that close to filling big hall who was showing any kind of unhappiness over such an annoying incident. I noticed everyone was coming like nothing annoying had happened. All others were busy finding their place, behaving and talking to each other as usual. I realized how most of us have no value of our time. In fact, most of us don't even know their rights being a consumer. We pay extravagantly while buying a Multiplex ticket that too in a PVR cinema. Take a look at the prize of cold drink and popcorn in a PVR cinema nothing comes below RS. 180 in any size. If the open counters and display units filled with fresh popcorn often attracting people with its aroma has not been a successful marketing strategy, the PVR people would have charged for even taking the smell of their popcorns. And by the end what do we pay for is a reluctant attitude towards the customers. Even the Indian railways act this much responsible to inform their customers about any delay in train time by sending a text message, but the PVR cinema does not even bother to at least make a person stand at the door of the allotted screen to serve its customers with an excuse and a request to wait while the show is going to start with a delay. More to my surprise, no one had a value to their 20 minutes time that was wasted in that way for which the cinema people paid no apologies. The Multiplex take our phone number to send us an e-ticket and store the number in their database. You can expect them to send you promotional messages or even share your phone number with other a third party too but don't expect them to be sorry for wasting your time like this. Because they don't have to. The. 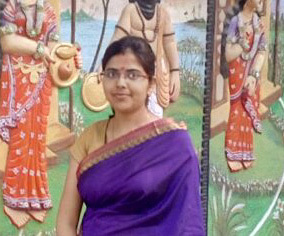 I noticed that the movie being played at that time on that screen was an animated film on the story of Lord Krishna. Clearly, it was a special screening of that show for which no tickets were being sold to common people. In the film, the climax scene shows us how people who have been looted by corrupt politicians do not know how to stand for their own rights and even protect the corrupt leaders regarding them as their God. I find people, who did not bother to show any bit of unhappiness while their precious time got wasted like that, are quite like those. 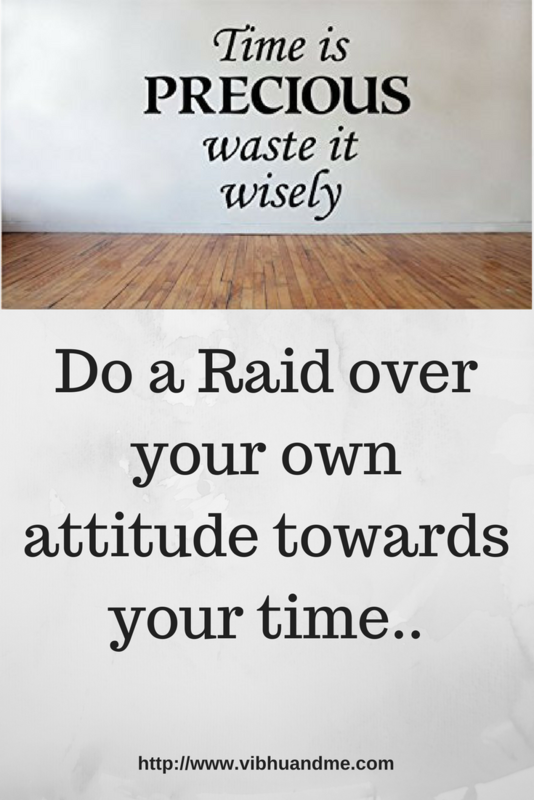 The main fault is in our own attitude towards our precious time. When everyone allotted that show on that screen had no problem waiting uninformed like morons, why would the Multiplex's owner care about this.